This romantic landscape will tickle the fancy of any sailor. Using a variety of white threads on a colored ground, this moonlit scene is executed in a variety of unconventional blackwork patterns that expose students to some new concepts and refinements. Students will warm up on a traditional pattern of double running outlines and then graduate to more complex composite patterns with couched foundations and superimposed layers. 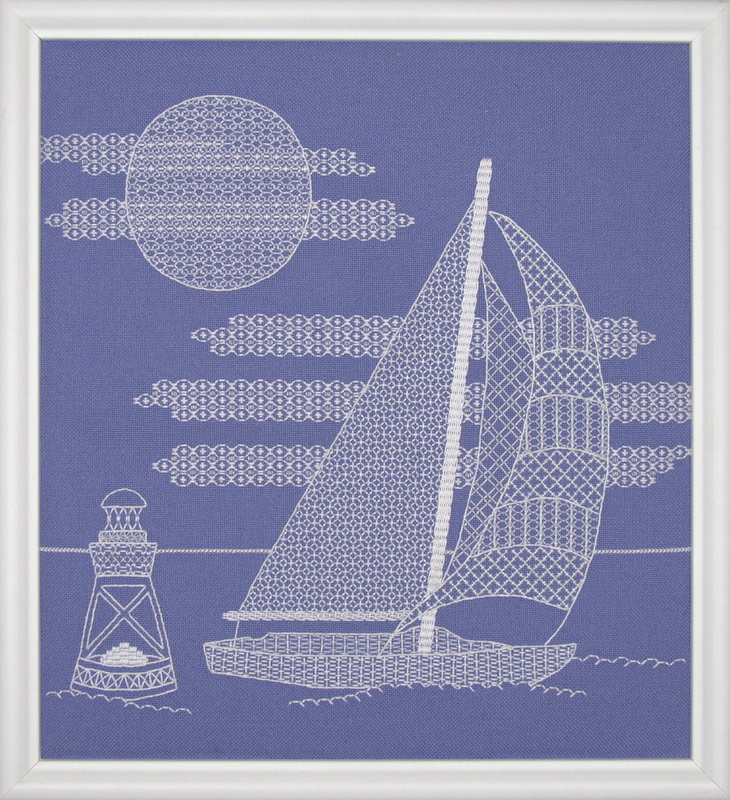 Variations of the same darning pattern are used to shade the boat itself and some interesting texture stitches are used to form the billowing clouds and the buoy, but the main focus of this class will be on the blackwork techniques. The threads used include pearl cotton, floss, Kreinik metallics, floche, and Silk Subtlety. Color Choice: Ground fabric choice of teal or blue Lugana.